Every year for the past 96 years, Azerbaijanis around the globe observe May 28th as the national Republic Day in celebration of democracy in Azerbaijan. Members of the Houston Office of Protocol and International Affairs, Mr. Harry Gee, President of Sister Cities of Houston. In addition to our guests we also had esteemed representatives from the congressional offices of Congressmen Ted Poe and Steve Stockman, Congresswoman Sheila Jackson Lee, and Texas Senator Rodney Ellis. Also present were representatives of Houston’s business, cultural, educational, non-profit communities and many Azerbaijanis living in Houston. 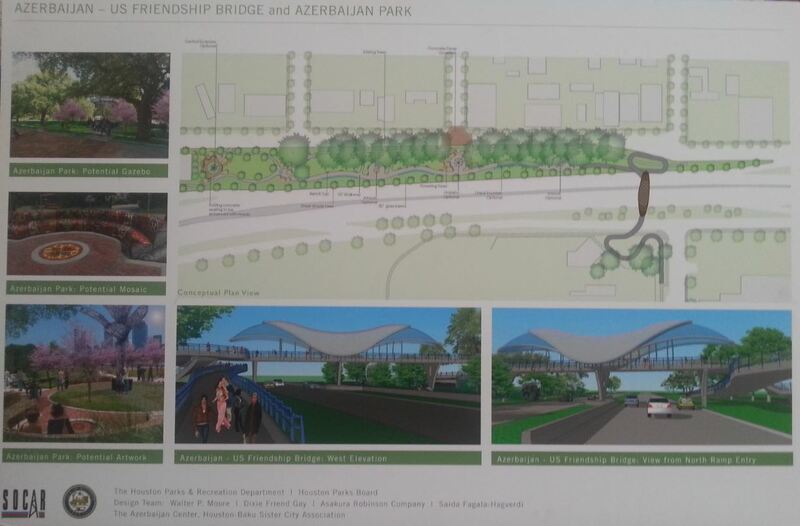 Executive Director of Houston Parks Board, Ms. Roksan Okan-Vick introduced the guests to the new U.S.-Azerbaijan Friendship Park & Bridge project in cooperation with Houston and Baku, Azerbaijan. 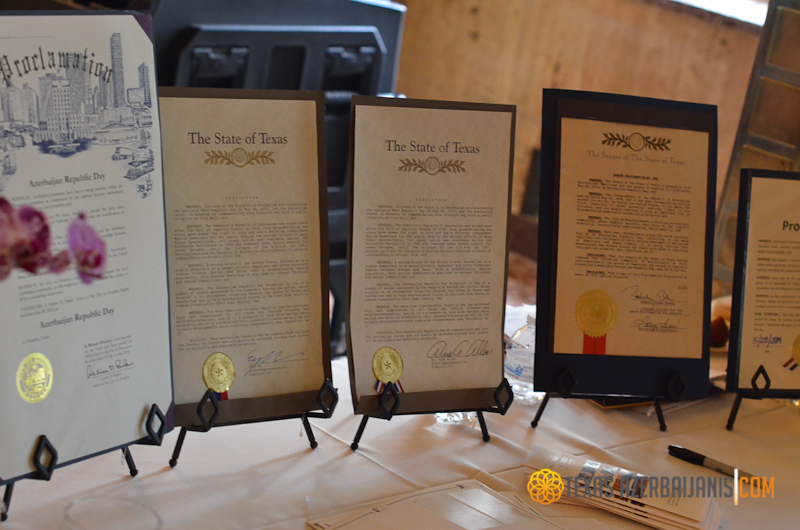 Speeches were delivered by several officials of the City of Houston and the State of Texas, emphasizing Azerbaijan’s rapid economic advancement and the importance of fostering and maintaining strong relations between the U.S. and Azerbaijan. Also, numerous proclamations recognizing the Republic Day of Azerbaijan were presented by the officials to Ms. Akhoundova, including a Proclamation by Mayor Annise Parker declaring the 28th of May as Azerbaijan Republic Day in Houston presented by Mayor Pro Tem Ed Gonzalez. The speeches were followed by a delightful performance by Jade and Jonathan Nakamura, two young students of the Odlar Yurdu education center, reciting a poem called “My Azerbaijan”, written by the Azerbaijani poet Samed Vurgun. The celebration was concluded with a taste of traditional Azerbaijani hospitality providing an opportunity for the guests to connect and share their appreciation for Azerbaijan. This entry was posted in Events by houstonbaku. Bookmark the permalink.